Is Music On Your Gift-Giving List? Looking for a special gift for the musician on your gift-giving list this year? 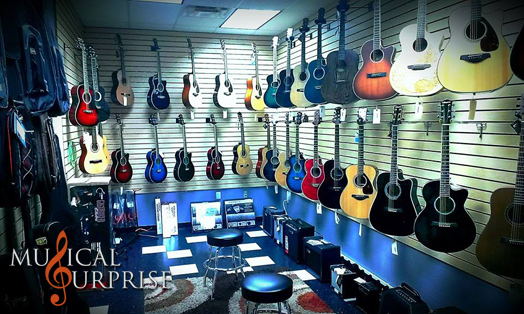 Stop in to our recently expanded retail music center and we will help you find the perfect gift for you aspiring Mozart or future Rock Star. We carry almost anything you may need, and if there is something we don’t have we can order it for you. If bringing new life to their instrument is the gift you had in mind, we can restring, tune, or provide repair for many instruments instruments to get your special musician back playing again! We also offer gift certificates for both our retail music center as well as for music lessons!